The gums are a complex system containing the bone, ligaments, and soft tissue to hold your teeth. This complex system is also referred as periodontium. 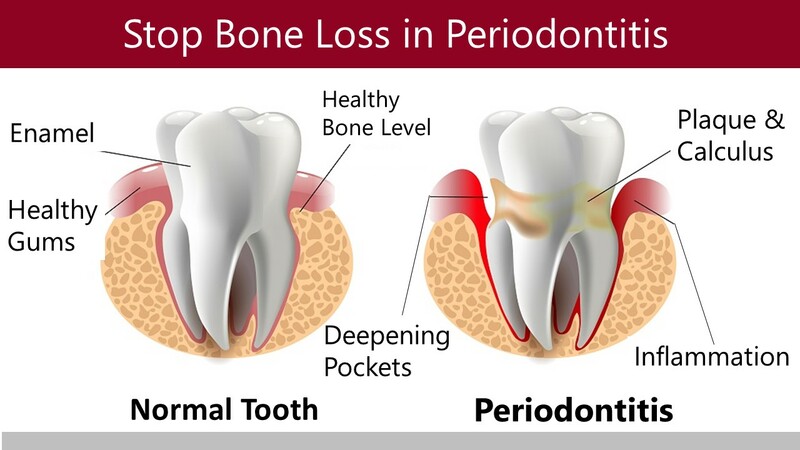 When the periodontium is not healthy, it can result in the tooth loss and loss of bone in your jaw and skull. 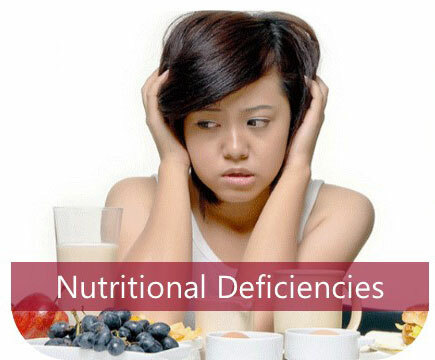 It can also put you in a serious health risk since it is connected to rest of your body via the blood vessels that carry valuable nutrients to your mouth. Some people may not necessarily have gum disease, but they have a gummy smile that they are displeased with, crippling their self-consciousness, and would like to see more of their teeth when they smile. For these people, we offer crown lengthening and orthodontic procedure which will give them the smile they desire. Do You Know What Type of Gum You Have? Gingivitis is an infection of bacteria in the gums caused by plaque buildup on teeth. 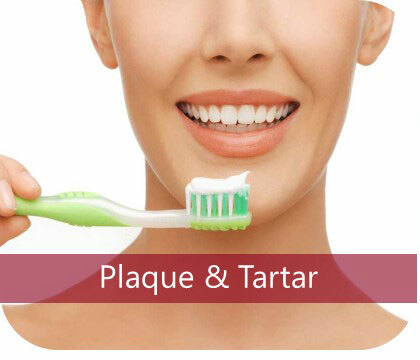 If plaque isn’t properly removed, it will build up at the gum line and can result in inflammation of the gums. Symptom of gingivitis include irritated or red gums that may bleed when brushing or flossing. Gingivitis is a condition that needs to be addressed immediately at the first sign of a problem; otherwise, it could lead to sever periodontitis and ultimately to gum surgery or teeth loss. Aria Dental utilities the latest technique and proven ways to help our patients to eliminate gingivitis and associated chronic inflammation. The treatment usually involves a deep cleaning or root planning along with local antibiotic agents or gum laser treatments. Periodontal (Gum) disease is the natural progression of gingivitis. Periodontal disease is hidden danger not only to your teeth, but also to your overall health because it is virtually pain-free. 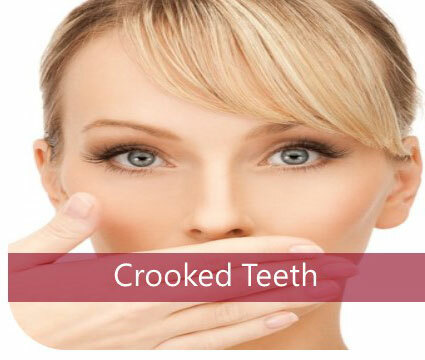 It is the leading cause of tooth loss in adults. According to recent findings from the Center for Disease Control and Prevention (CDC), half of American aged 30 or older have periodontitis. This equals approximately 64.7 million Americans. Your daily oral hygiene routine is your best defense against periodontal disease, but if you are beginning to suffer periodontal disease, gum treatment can stop periodontal disease and even reverse some of the damages. The Stages of periodontal diseases range from simple gum inflammation to severe gum disease that results in major damage to the soft tissue and bone that support the teeth. In the worst cases, teeth are lost. Whether your gum disease is stopped, slowed, or gets worse depends a great deal on how persistent you show up to your perio-maintenance appointments at Aria Dental and how well you care for your teeth and gums every day. How is gum disease treated? The main goal of treatment is to control the infection. The number and type of treatments will vary, depending on the extent of the gum disease. 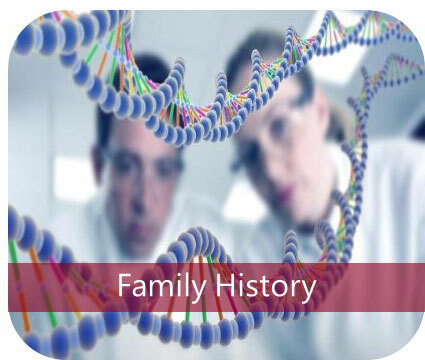 Any type of treatment requires that the patient keep up good daily care at home. 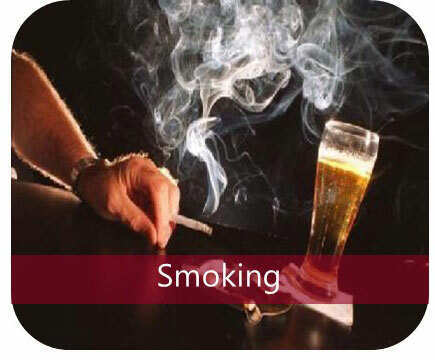 The doctor may also suggest changing certain behaviors, such as quitting smoking, as a way to improve treatment outcome. Deep Cleaning: At Aria Dental, our dentists and hygienists remove the plaque by a deep-cleaning method called scaling and root planning (SRP) by hand instruments and ultrasonic scalers. Scaling means scrapping off the tartar from above and below the gum line; Root planning gets ride of rough spots on the root surfaces where germs gather and helps to remove bacteria that cause the disease. Soft Tissue Diode Laser: The soft tissue diode laser can be used as an additional treatment to remove diseased tissue and bacteria that contribute to gum disease inside the pocket. 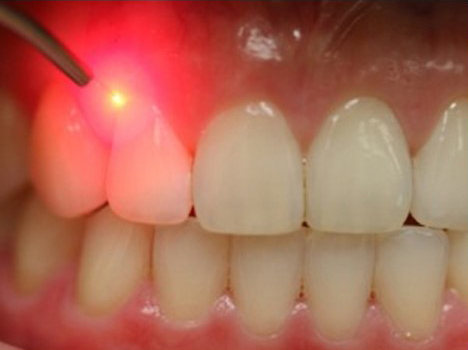 This technique uses the laser light to eliminate periodontal pathogens and promote the return of the periodontium to a state of health. For moderate to severe gum disease, we offer not only osseous surgery, but also LANAP laser therapy, in which we treat your gum disease with the only FDA approved laser that require no cut, no stich, no drill, and no fear. Arestin® (Minocycline HCL) Microshpere is concentrated antibiotic that remains active in your gum pocket for an extended period of time to reduce pocket depth by targeting periodontal bacteria to fight infection and ultimately helping your gum to heal. Arestin is incorporated into a routine oral maintenance program along SRP. 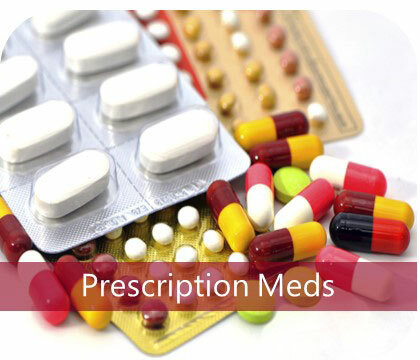 Medications may be used with treatment that includes scaling and root planning, but they cannot always take the place of surgery. 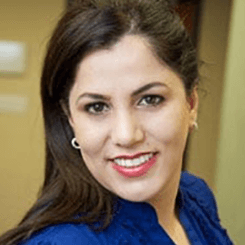 Depending on how far the disease has progressed, Dr. Horiyat and her team of board-certified periodontists may still suggest surgical treatments. PerioTrays Where Science Meet Art : The Perio Tray® by Perio Protect was developed to supplement and improve periodontal treatments. Perio Trays are versatile and non-invasive approach to threat bacteria and other problems that cause gum disease. The basic goal of Perio Protect is to help to restore your oral health by placing medication under the gums and into infected pockets and keep it there long enough for the medication to work. Patient describe the Perio Trays as comfortable and easy to use. A perio Tray needs to be designed to precisely fit each patient. thus, the prescription Perio Tray is customized for each patient to deliver medication deep under the gums to fight gingival infection, and it needs to be used for 10-15 minutes daily. If you undergo this method of treatment, Dr. Horiyat will give detailed instructions on what you need to do. Most people only need to use it for a few minutes each day, but each person is different. "The Most Common Reasons For Gum Disease"